WhatsApp recently released official sticker support for the famous messaging app. 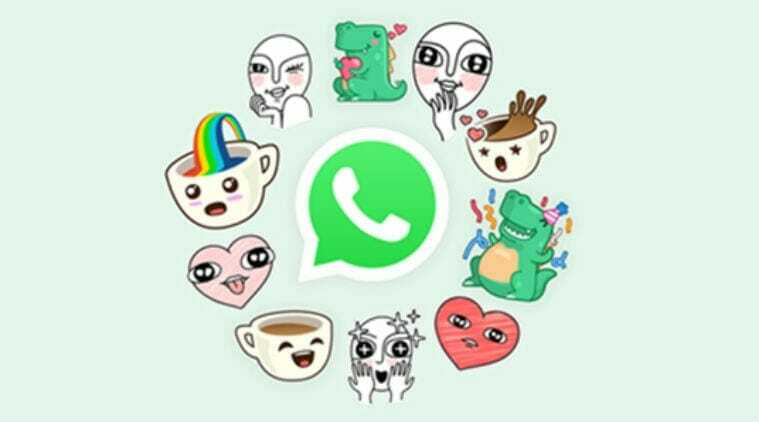 WhatsApp stickers are now usable with the latest version of WhatsApp. It is incredulous to think that it took so long for WhatsApp to offer the stickers feature. Other less popular apps such as “telegram” and “line” have provided the feature for a long time now. Anyway, now that stickers are here let’s see how we can go about downloading them on to our WhatsApp app. The release of stickers on WhatsApp has brought forth a plethora of Sticker download options on Playstore. These third-party stickers are created by independent designers and can be downloaded and added to WhatsApp. A simple search on the Playstore will show a number of sticker packs. Here is how you can download these sticker packs. 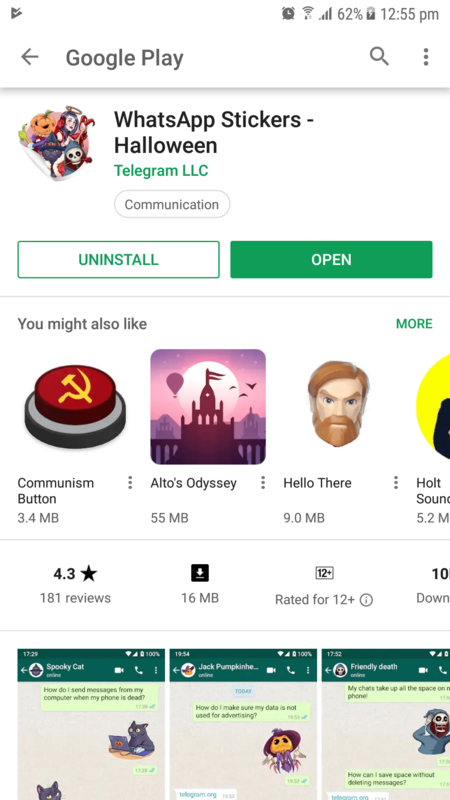 Step 1- Go to PlayStore and search for WhatsApp stickers. I will be using these in this tutorial. Step 2- Now download the stickers from Playstore on to your smartphone. Step 3- Once downloaded open the stickers app and you will see the following screen. Step 4- Now tap the + button next to any set of stickers you want and they will be downloaded and added to your WhatsApp. 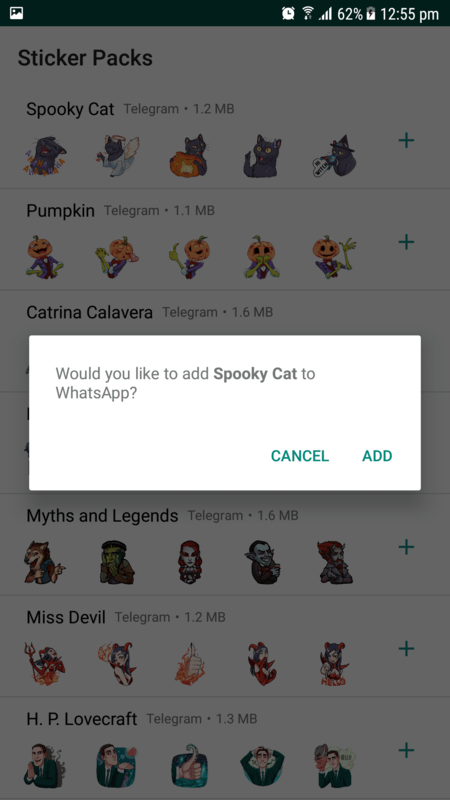 You will be asked whether you want to add, in this case, spooky cat, to your WhatsApp, tap “Add”. Step 5- Once downloaded the following message will be displayed. 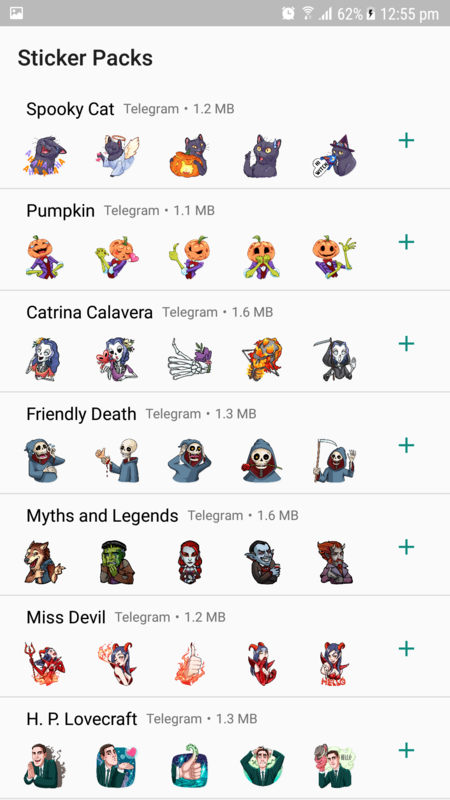 Some users have reported that they aren’t able to download and add stickers to WhatsApp from PlayStore. If you are facing the same issue then most probably when you tap on “add” in the above example nothing happens. You may also not be able to see the stickers other people have sent you. If this is the case then it simply means you don’t have your WhatsApp updated to the latest version. Depending on region and the type of phone you have, updates can take up to 2 weeks to go live. hence, click on the link below and follow my guide to easily download the latest WhatsApp APK and start enjoying the latest features. 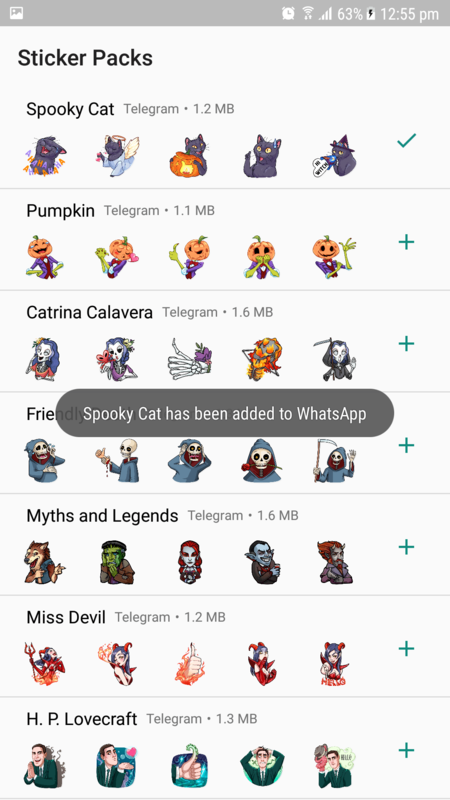 How to enable Whatsapp Stickers on Android Phones? Leave me a comment down below if you have any questions.